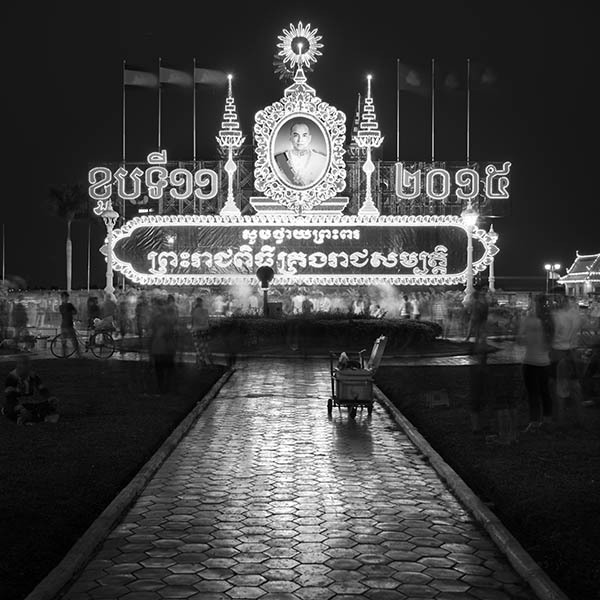 An illuminated tribute to King Norodom Sihamoni in city centre Phnom Penh. As you can see from the photo, the display is lit up like the Blackpool illuminations. It is prominently located in the public park right outside the Royal Palace and it's a surreal sight! I couldn't help thinking how much fun it would be to have something similar erected to Queen Elizabeth II outside Buckingham Palace.